When many people learn that weed use isn’t actual legal in Jamaica, they are extremely surprised. With marijuana having had an inextricable link with the island for generations, it’s no wonder that so many people are under the misapprehension that there have never been any criminal penalties for its use. However, the exact opposite is true, and in fact, cannabis is still officially outlawed in this Caribbean nation. For over a century, Jamaica has had an ongoing troubled relationship with cannabis. Despite its importance in the Rastafarian religion, until recently the government has opposed its use. However, recent changes in local economic conditions as well as changes in popular opinion towards marijuana use have led to the historically draconian restrictions being somewhat relaxed. 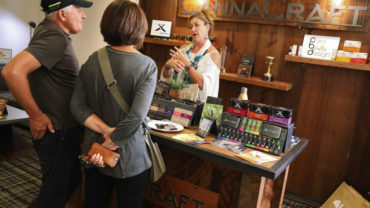 This legislative change has been instrumental in creating some new financial opportunities both for visitors and locals and should these opportunities prove to be lucrative, it is possible that the future may see further changes to legislation to make marijuana use even more accepted among the main population. Although marijuana has long associations with Jamaica, evidence shows that, in fact, the island only saw its first cannabis plants being grown in the 19th century. Indian workers who were brought to the Caribbean after slavery was abolished brought cannabis with them, and it proved popular among the local population. Widespread use followed, and cannabis was soon incorporated into cultural practices. This mainstream use was, as might have been expected, frowned on by the colonial elite and the Christian church who took a negative stance towards the drug. Their campaign against the herb set the scene for the passing of the Ganja Law in 1913 after claims that its use caused violence among the people. Cannabis was outlawed and its cultivation and importation were made illegal, attracting severe penalties of either a one hundred pound fine or a year of mandatory imprisonment. Not satisfied with this deterrent, the penalties were increased further in 1924. Making cannabis illegal did nothing to stop the island’s inhabitants from continuing to use it.Its association with many Jamaican cultural movements, and Rastafarianism in particular, is well documented. 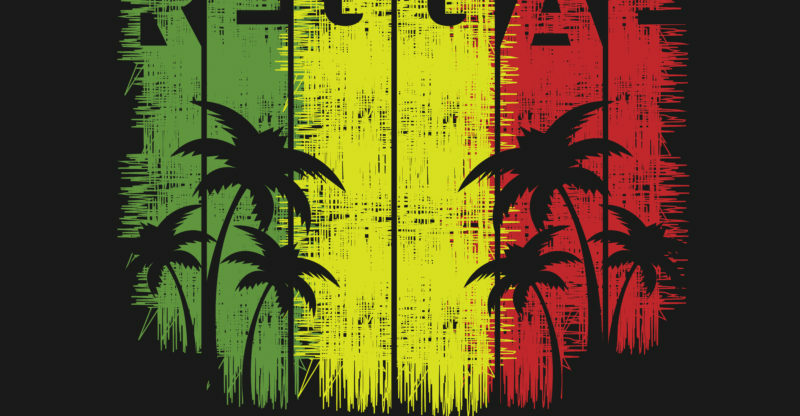 Rastafarians believe that marijuana opens the mind to new ways of thinking, using the drug in their religious rituals. There can be hardly anyone worldwide who hasn’t heard of Bob Marley, possibly the most famous Jamaican figure to be linked to open marijuana use. By acknowledging his use of cannabis, he gave the impression to much of the world that its use was legal in his home nation, yet, of course, this was never the case. Marijuana is still officially illegal to the present day, although the 1960s and 1970s saw some modifications to The Ganja Law meaning that imprisonment was no longer mandatory for its use. Farmers in Jamaica also began exporting marijuana to other countries where the demand for the drug was high at this time, but since it was still illegal, clandestine exports were the only possibility. 2015 saw the decriminalization of cannabis in Jamaica and this change in legislation means that, although both possession and trafficking remain illegal, possession of under 2oz of marijuana is now considered to be a petty offense unrecorded on a permanent criminal record. Further changes were made to the law at the same time to allow the cultivation of up to 5 cannabis plants in the home. Rastafarians can now use cannabis for religious purposes and, perhaps the most radical change of all – citizens are now permitted to sell medicinal marijuana to both locals and tourists. The decriminalization of marijuana may mean that Jamaica will see further economic growth and by permitting tourists to buy medicinal marijuana, there may well be increases in the tourist trade which should bring money to local businesses. Zunammie Keren is a freelance writer based in Jamaica. She holds a Bachelor’s of Science degree from the University of Technology, Jamaica. On most weekends you can find her soaking up the rays on a sandy beach in tropical Jamaica where she currently resides with her husband and 3 adorable sons.